For a long period of time people have been led to believe that saturated fat is the main cause of heart disease. New research has revealed that saturated fat is not as harmful as sugar. We all know that chocolates, fizzy drinks, sweets and cakes are loaded with sugar. But there are other foods that you might not associate with added sugar. These are the everyday foods which are packed with large amounts of hidden sugar. Food manufacturing companies have become wise to the outcry of added sugar by health practitioners, and food marketers to keep their sales up, have started to disguise the hidden sugar in their products, by renaming the sugar content. In this way, most consumers will not know how much sugar they are really eating. Manufacturers add sugar into foods to improve the taste, especially in reduced fat foods, as foods without fat are bland, and do not taste so good. This means that foods which are labelled low fat, may actually be worse for you as they are loaded with added sugar. Facts about some foods with hidden sugar. · Many low fat items, including the popular low-fat yogurt have added sugar. · Breakfast cereals, even those made especially for children, are packed with sugar. · Sauces and soups ranging from basic tomato sauce to spicy chutney, have big amounts of added sugar. · Salad dressings, especially the so-called low fat ones are filled with sugar. Mayonnaise and other salad dressings taste good but could be deadly, because of the hidden sugar in the product. · Canned beans, whilst high in fibre, contain lots of sugar and other additives. · Pasta sauce, even those made with tomatoes - which are considered healthy but also have a natural sugar content, is high in added sugar. · Sports drinks have a lot of added sugar and unless you are exercising vigorously, are not really necessary. 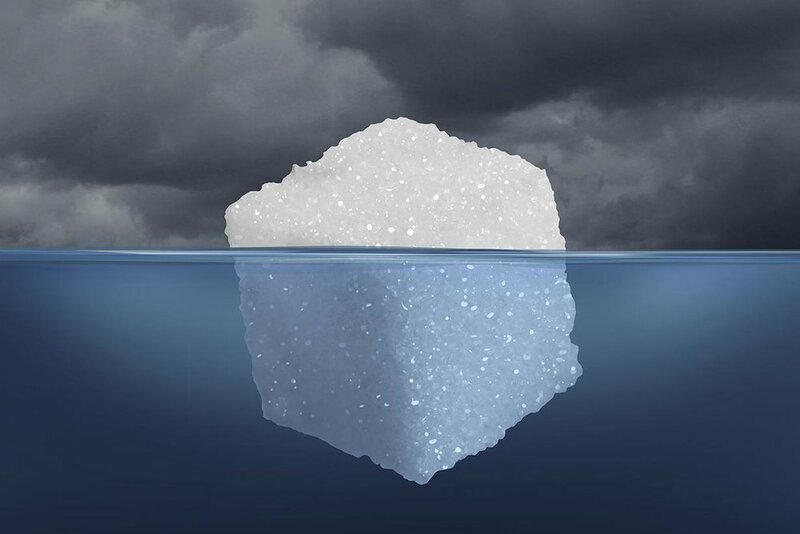 There are many other items with hidden sugar, and scientists in the food industry have got the ratio of fat, sugar and salt in their products, just right to make them tasty enough to keep you coming back for more. How to identify hidden sugars in foods. · Nectar, brown sugar, cane sugar. · Corn sweetener, corn syrup. · Dextrose, fructose, sucrose, syrup. · Glucose, fruit juice concentrates, processed honey. · Lactose, maltose, malt syrup, molasses. These are just a few of the clever words which are used to promote sales. How to avoid buying foods with hidden sugar content. The best way to do this is to read the labels for anything which is on the above list, and don’t buy anything which is labelled low fat, as it could have added sugar to improve the flavour. It may be a bit tiresome to read the labels, but if are already cutting out obvious sugar items from your diet, you will not want to sabotage your health by eating food with hidden sugar. How hypnosis can help you reduce sugar cravings. Willpower alone isn’t enough to cure sugar cravings. Sweet things have always been offered as a reward for good work, behaviour etc, and long been a favourite a comfort for wounded emotions. The subconscious mind has developed a deep coping attachment to sweets when there is distress. Hypnosis is able to access the subconscious mind and reprogram its attachments to sweet things, and provide it with new information to change bad habits. Hypnosis will show you how to update your subconscious thinking, so that the conscious mind no longer views sugar as a friend who is always there to make you feel better. You will also learn how to shop mindfully and avoid the items which have labels that indicate hidden sugar is present in the item. Sabotaging your health and weight loss goals can successfully become a thing of the past.